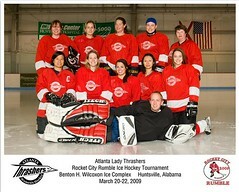 Come support your Lady Thrashers as they take on Atlanta’s newest competitive women’s travel team, the Atlanta Flames! 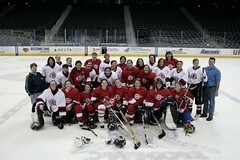 The game is 8:30-10pm at Center Ice Arena. 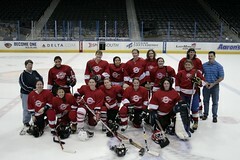 Lady Thrashers are in black and the Flames are in yellow. Next week is a women’s only practice, then a co-ed clinic the following week. Our lower level game is April 13th, so be sure to mark your calendars now. Come show your support and then hang with your favorite players afterwards. Previous A Strong Season So Far!